00116 101-6BK BLACK Black EZ Foldz 9 inch Step Stool - Let the EZ Foldz 9 inch Step Stool help you with any job around the home or RV. This great little step stool folds open or closed in seconds, providing you with a sturdy, safe alternative to bulky step ladders. Each stool holds up to 300 lbs and is made of heavy duty plastic with slip resistant surfacing and a top tread of 9 inch x 11 inch. It features a convenient carrying handle and is great for all ages! This step stool folds up to a mere 2 inch thick, so it can easily be stored beside the fridge, in the bathroom cabinet or in your car. 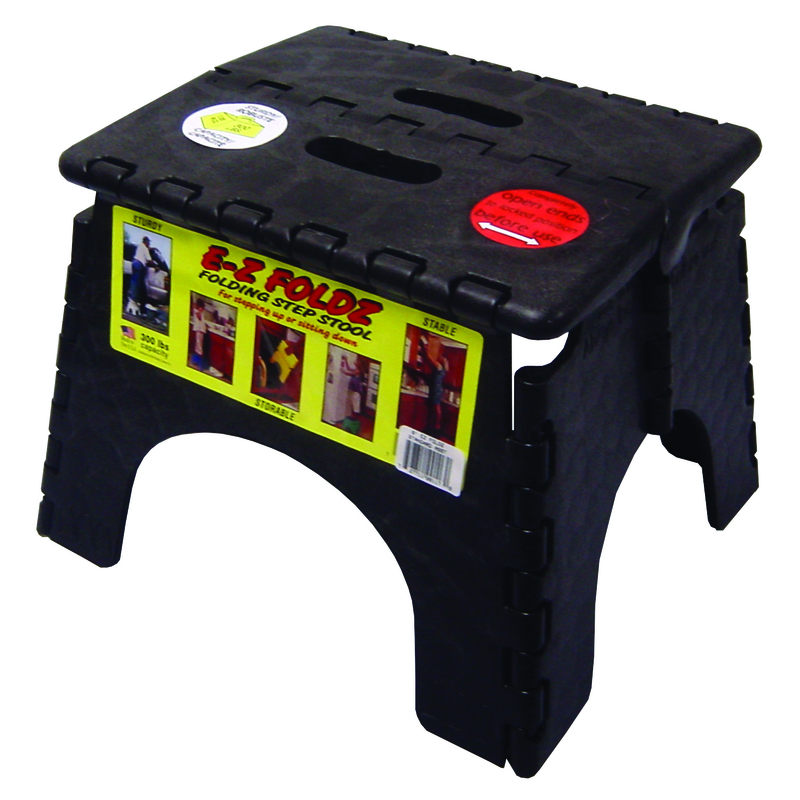 Make any job easier with the E-Z folding step stool! Comes in various other colors. Black in color. Dimensions: 12-1/2 inch W x 13-1/2 inch Tall (Folded Up). 1 per package.